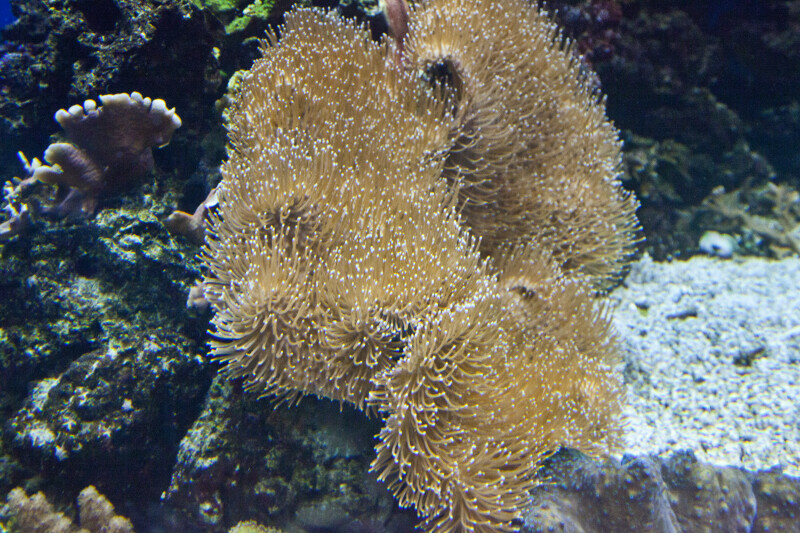 A cluster of sea anemones at Denver's Downtown Aquarium. An animal of the phylum Cnidaria, it feeds on small fish and shrimp, using its stinging tentacles to subdue its prey. WARNING: You are about to download a 57.6 MB TIFF!